Winter has ended and, despite the occasional cold snap, spring is here. Many couples and families will be hitting the beaches this spring, and I hope to do the same. While most of my children are grown, we still have one adult child in the home who loves to travel and go to the beach. I’d like to share with you the best options for beaches in the spring whether you’re a couple or a family. I visited Cocoa Beach in 2004; my daughter was three years old and just finished an 11-month battle with cancer. I can tell you from experience it is a family-friendly beach only an hour east of Orlando. So, if you’re already vacationing at Disney, this beach is close by. 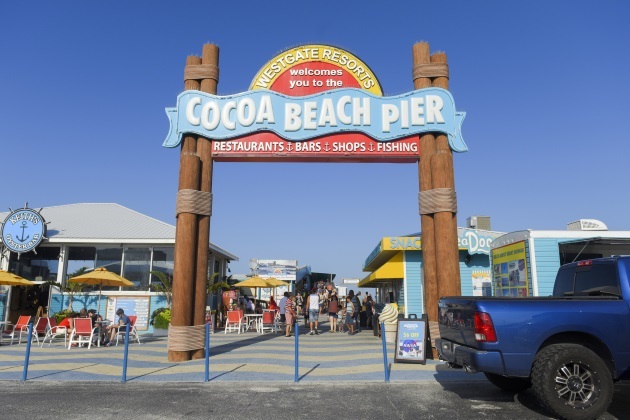 During this spring, Cocoa Beach has its Friday Fest on April 19. Her family visited a restaurant called The Lone Cabbage Fish Camp.It is a local restaurant where they sampled alligator for the first time. You can take air boat tours that take you out in the swamp to look for the alligators as well. Mullins also suggests you visit Lori Wilson Park while you are in the area. Manatee Public Beach is located on Anna Maria Island, Florida. My favorite thing to do here is collect shells, splash in the waves, which are calmer than those at Daytona Beach, and soak up the sun. There is a small café to grab a bite to eat and a well-stocked gift shop. You can also hop a trolley here to visit other areas of the island. Coquina Beach is located on Longboat Key. Coquina is in my top three list of best beaches I have visited. When you arrive, you are approached by the friendliest squirrels, who will gladly eat peanuts from your hand. The bathroom facilities are clean and modern. While swimming we encountered dolphins, which is an incredible experience. The sand is never hot, so you can walk up and down the beach as long as you wish, collecting sea shells and sand dollars. You can also swim, parasail, boat and sun bathe. There are many parking spots available, and most offer tree shade, so your car stays cool while you’re off playing in the waves. An added perk is if you go across the street there is public fishing access for free. We caught a lot of fish. Siesta Key Beach is in Sarasota, Florida. Again, I have been to this beach. Parking can be tricky, but it is free. This beach offers the finest white sand I have ever seen. Put your feet in the sand here and experience sand like you’ve never experienced it before. There is a playground, pavilion and swings, and it is well-maintained and safe after dark. Port Aransas Beach is like Daytona Beach, Florida, in that you can drive right out onto the beach. Many people like to walk their dogs here. This beach is great for kite flying, beach volleyball and tossing around a football. The cuisine in the area is fantastic as well. I talked to a fellow RVer, Ronda Tutt, about this beach since I have not been there. Tutt let me know that the beach offers a lot of activities, like surf fishing, deep sea fishing and sea shell hunting. Laguna Beach is located halfway between Los Angeles and San Diego. You will find majestic canyons and seven miles of hidden coves at this Southern California beach. It is also a real treat for families and beach lovers. If you are an artist or a romantic at heart, this is the beach to explore, too. In addition to unique shops, this beach offers artistic pieces that keep children entertained for hours. There are outdoor concerts, hiking, biking and yoga with breathtaking views. There are so many wonderful beaches out there for families and couples. The ones I talked about are a mere handful; all unique to their respective areas.